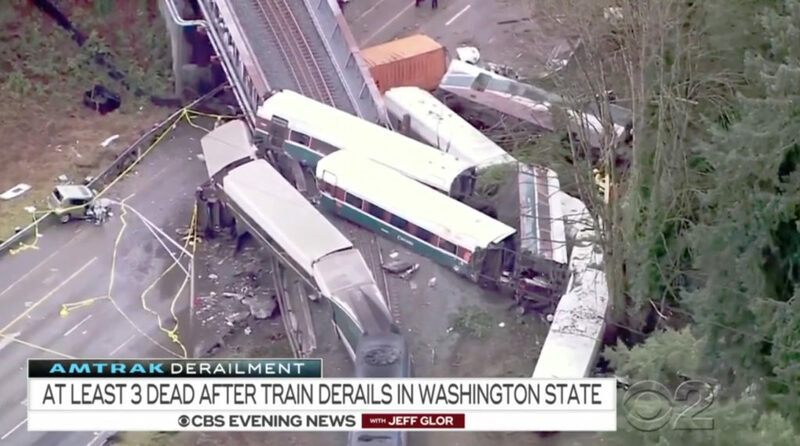 “CBS Evening News,” “NBC Nightly News” and “ABC World News Tonight” all featured extensive coverage of the Washington state train derailment Monday night using a mix of moving and still imagery from the scene, maps and audio clips — coverage that continued the next morning. 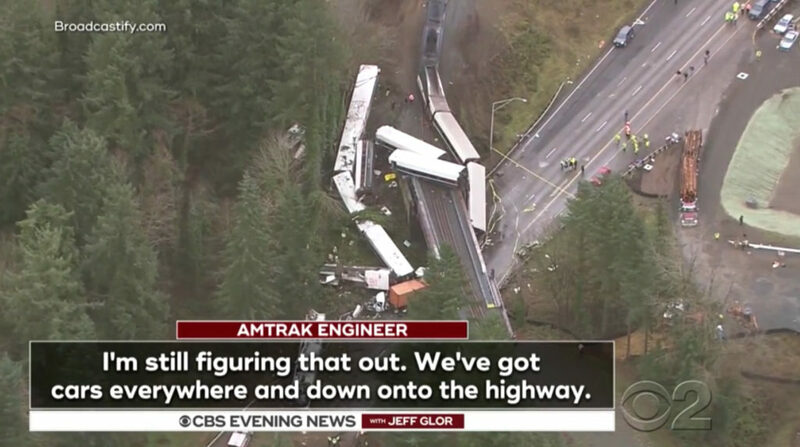 Although none of the broadcasts’ anchors were sent to the scene, all of the networks had multiple correspondents on the ground at the scene of the accident. 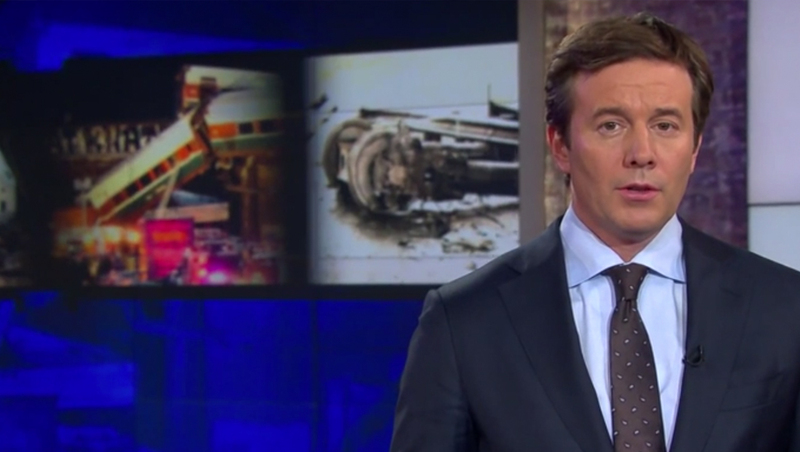 Anchor Jeff Glor opened the broadcast with a blue background featuring a collage of photos from the accident. In addition to using the brand name of the train service as well as the Amtrak logotype next to a wide version of Ridley Grotesk. This branding was used both in larger and small versions in the show’s insert graphics with a textured black and blue version of the Amtrak “track” icon behind it. Due to the nature of the story, the networks also relied heavily on audio recordings taken from both the train communications system and emergency frequencies. Most of this audio was captioned to make it easier to understand, while B-roll imagery was played on screen. 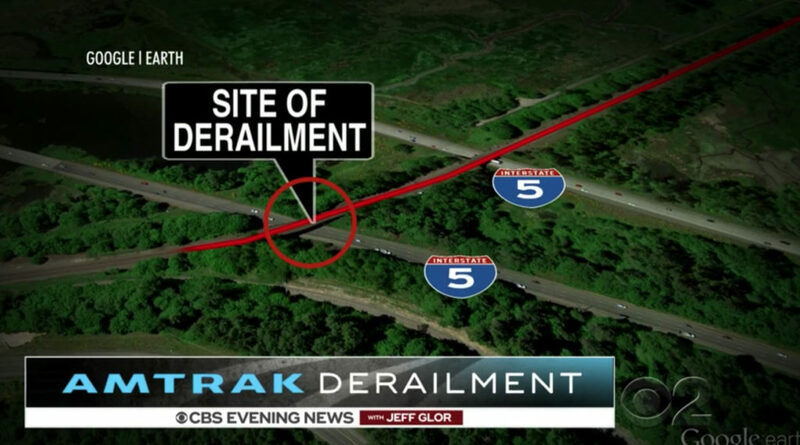 “CBS Evening News” used a boxy design similar to its normal lower thirds, though instead of the bold red, they used a faded dark background, with the title or name of the speaker appearing in a red box above.